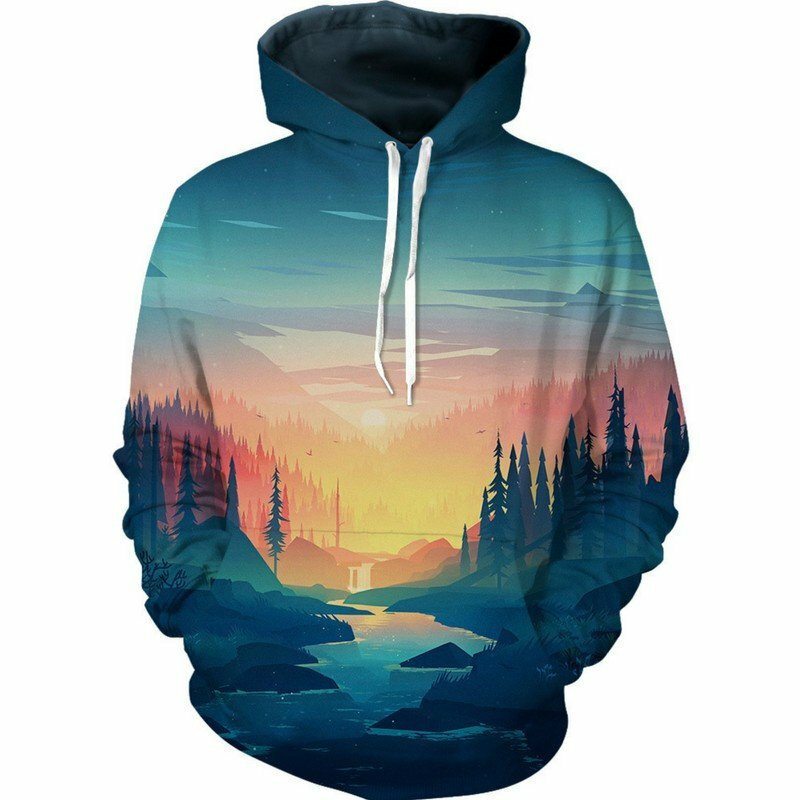 This Forest Sunrise Hoodie oozes peace and calm. A truly beautiful print that features a blue sky, crystal clear river, birds flying and a forest backdrop. All of this is illuminated by the pinks and oranges of the beautiful sunrise. A best seller of ours, for good reason. The hoodie is comfortable to wear, looks fashionable and is wearable anywhere. It was designed for both male and female.